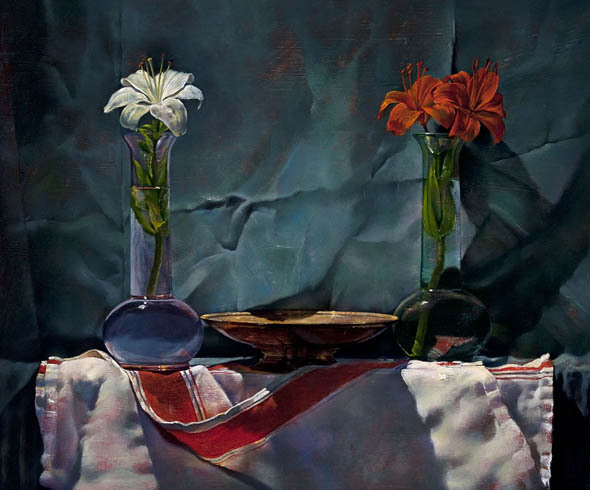 A summer exhibition examining the career of Joseph Nicoletti, one of Maine’s foremost realist painters, opens with a lecture by the artist and reception at 2:30 p.m. Saturday, June 12, at the Bates College Museum of Art. Joseph Nicoletti: A Retrospective runs through Sept. 25. Located in the Olin Arts Center at Bates, 75 Russell St., the museum is open to the public at no cost. The hours are 10 a.m.-5 p.m. Tuesday-Saturday. For more information, please contact 207-786-6158 or this museum@bates.edu. “Nicoletti is a painter’s painter,” Shostak continues. “His technical mastery is evident throughout the exhibition — with his ability to paint smoothly and seamlessly or to dig into paint films, and to harmonize subtle color shifts or create psychologically jarring compositions. Nicoletti taught at Bowdoin for eight years before coming to Bates. 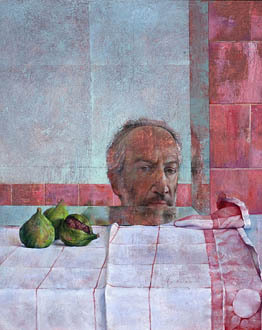 From 2004 to 2008, he directed the summer program of the International School of Art in Umbria, Italy. In 2008, he took part in the Maryland Institute College of Art’s prestigious Klots Artist Residency program in Rocheforte-en-Terre, France. In 1985, he received the Hassam and Speicher Purchase Award from the American Academy and Institute of Arts and Letters, New York.